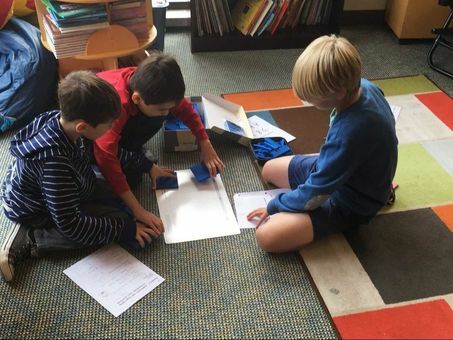 Small groups lead to deeper learning. Each group took apart various flowers and categorized the parts in the way they felt worked best. 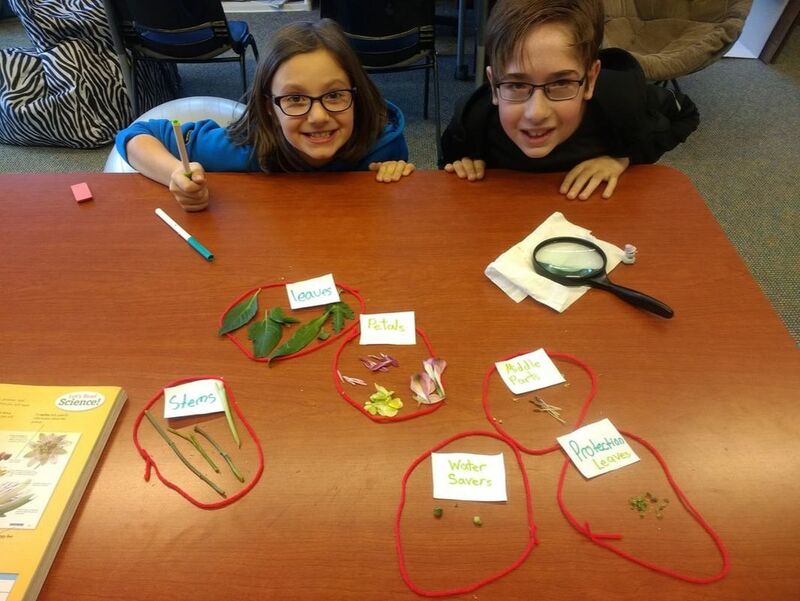 This led to an investigation into how real scientists classify plants. 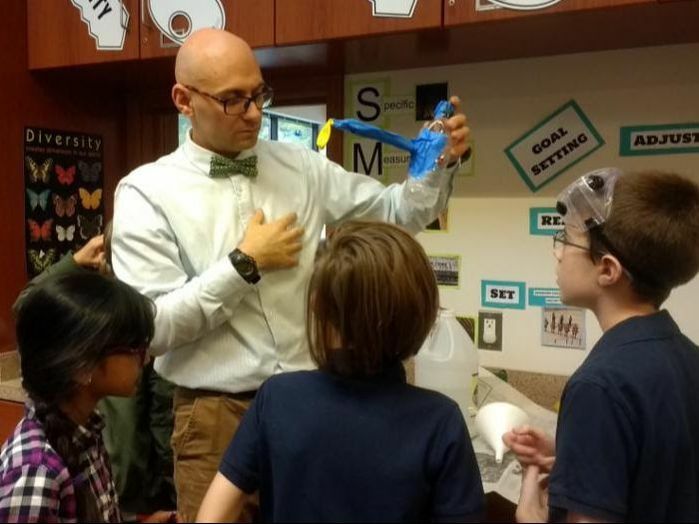 ​After finishing an experiment that emitted CO2 gas, one group wanted to capture the CO2 gas. They worked together to devise a new experiment to do that. After watching objects to see why one continues to move while the other one stops, each group devised its theory of motion, which we compared to the textbook's theory. Working together broadens our understanding. After reading about the Loch Ness monster, we designed rafts to carry tourists across a lake. A few times, the groups compared rafts, adopted new design points, and rebuilt. This led to new calculations and deliberations. After reading several stories and listing their main plot points, the groups compared notes. A discussion ensued about how authors set up stories and why readers find different moments in the story memorable. 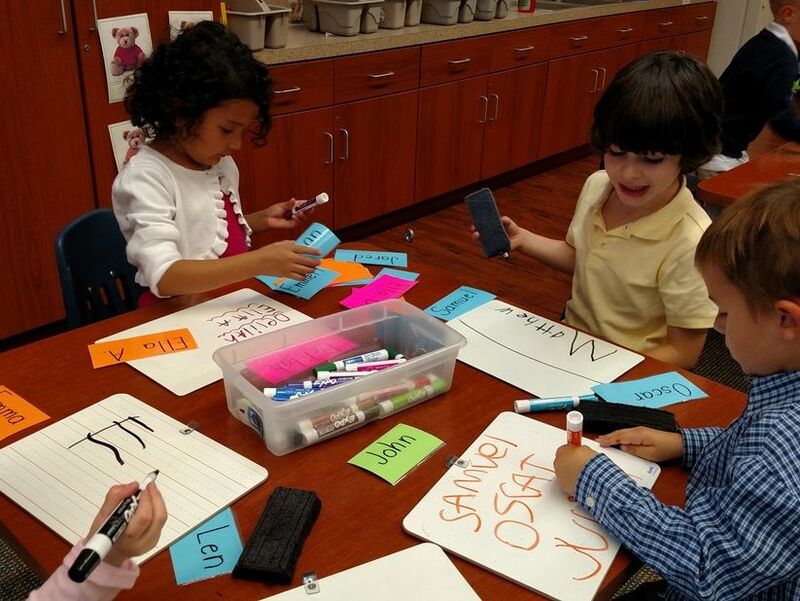 In this small group activity, the Kindergarten children helped each other write everyone's first and last names. This led to some group experimentation with many letters and words. 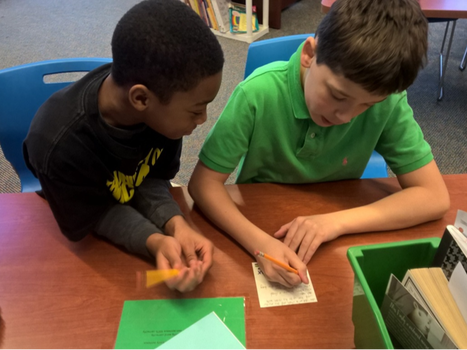 Working with a partner cements new learning. 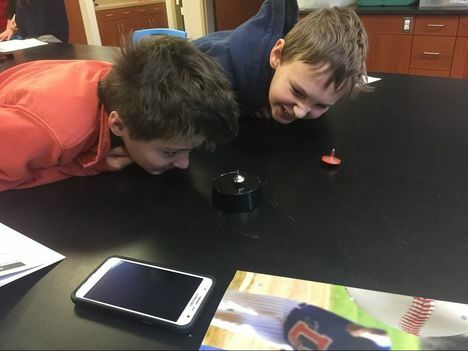 To see what happens when a solid (dry ice) skips the liquid state (water) and turns directly into a gas (water vapor), each group made fog bubbles and screaming quarters. Discussing the steps and results lodged the key points in the children's minds. Working in small groups, the students used base-ten blocks and place-value charts to create concrete representations of very large numbers. Explaining their methods out loud helped form the understanding in their heads. Children worked in pairs to regroup small items into various amounts. For example, how do you gather 23 of something? 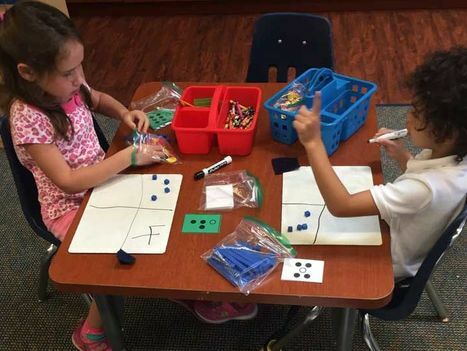 Watching each other's strategies helped the children internalize new ways of thinking about math. Working in a small group is fun! 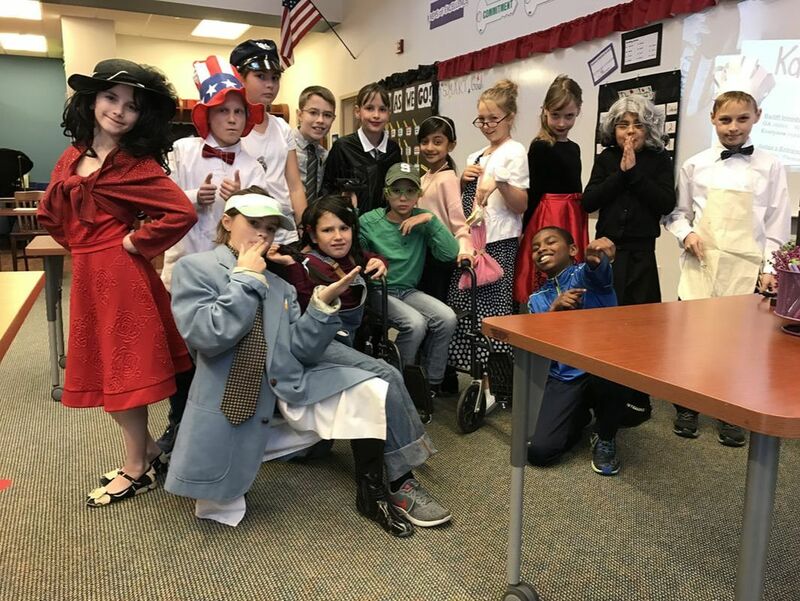 After reading The Westing Game, the students worked in small groups to ad-lib and then present mock trials incorporating the novel’s bizarre chain of events. Each pair of children gave a speech with props. 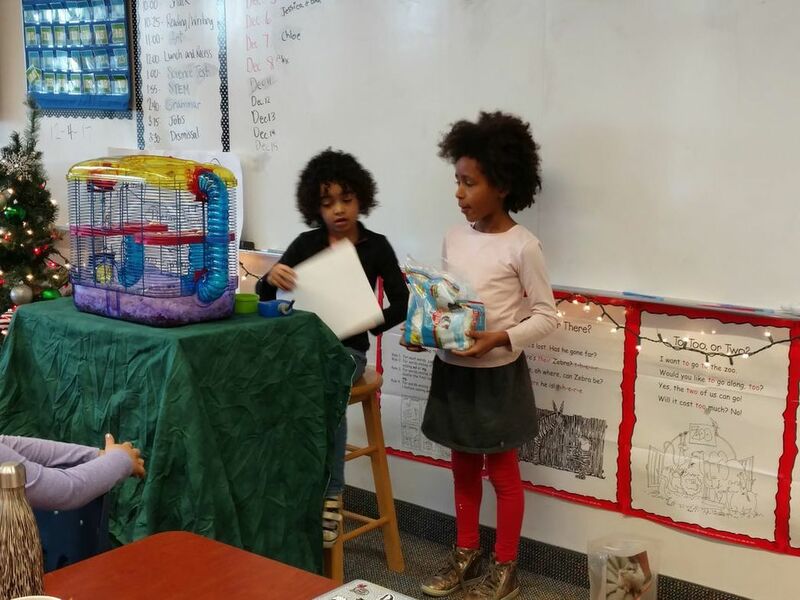 This pair demonstrated how to set up a hamster cage. The crowd was very excited to pet the hamster. While building a tower with 5 plastic cups, 5 rubber bands and 5 pieces of string, the children practiced solving problems as a team. Watch this video to see how the group solves the challenge. "Today we were challenged to see how many square units we could find inside other shapes. ​​perform the skit they wrote in French. Watch these Kindergarten children create a chain reaction.